If you could see a clear path to your future, would you follow if everything were leading to success? I hope so. I know I would. Now, what if you couldn’t see where your next steps were going to take you. Would you still follow the path? It’s a question that can make you think the “What if?” “How would I?” “Where would I?” and the list could go on. What makes an adventure so exciting are the new possibilities which await you. For me, it’s walking by FAITH and trusting God is the navigator of my journey. My faith reminds me that I don’t need to worry about tomorrow, because he is already present in my good or difficult times in life. Adventures are an exploration for the bold to see what other possibilities await them on their journey. 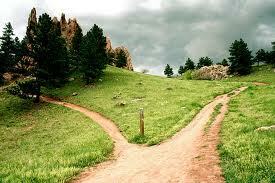 Have faith and know that whichever path you follow there is a new chapter you will begin and can share with others. Posted on October 8, 2012, in Empowerment, Jazzed Inspirations, Reflections and tagged adventures of all that jazz, empowerment, faith, Jazzed Inspirations, walking by faith. Bookmark the permalink. 2 Comments. I was thinking about you today actually so this post is very fitting. I was thinking about the time in my life when I met you, I didn’t have a lot of faith. I had a lot of worry. In my mind, I couldn’t figure out how things I needed to get accomplished would get accomplished and I was always stressed out. But I met you and you seemed to be so calm and collective and I just didn’t know how you did it. You are such an inspiration to me and you left a mark in my life that God is always there to be strong and take care of me. Thanks Jazzy! Congratulations on your next adventureJazz! Keep on keeping on. You are inspiring many through your bold steps and your faith.